Just like the king of the jungle, Leo is proud, ostentatious, and the most egotistical of all the signs. It takes effort for Leo’s not to cross the line and become excessively vain, arrogant and selfish. Leo’s live to make an impression and need to have an audience. 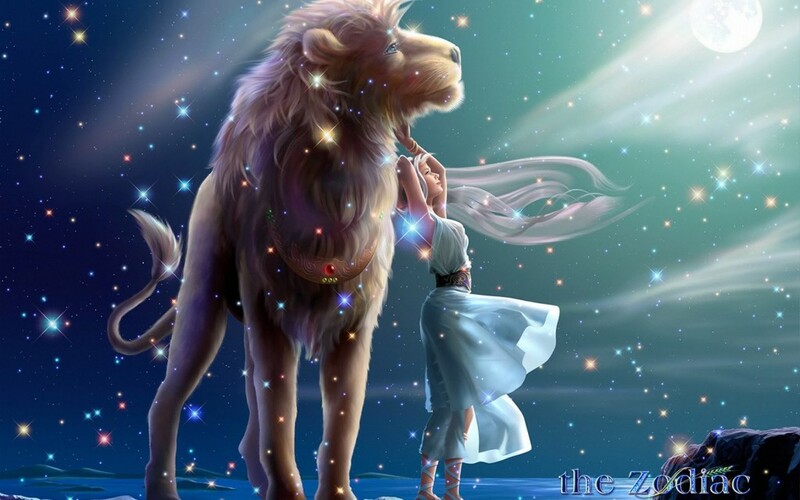 Leos can be difficult to love and to work with, as they have very little sense of anyone but themselves. If Leos can learn to accept responsibility, personal change, and the fact that others have feelings too, they make energetic and fun companions. To thrive, the Leo needs space and a spotlight. Moon in Leo: This is the best time to work magick involving authority, peer over others, courage, fertility, or childbirth. Healing rituals for ailments of the upper back, spine, or heart are also done during this period of time.